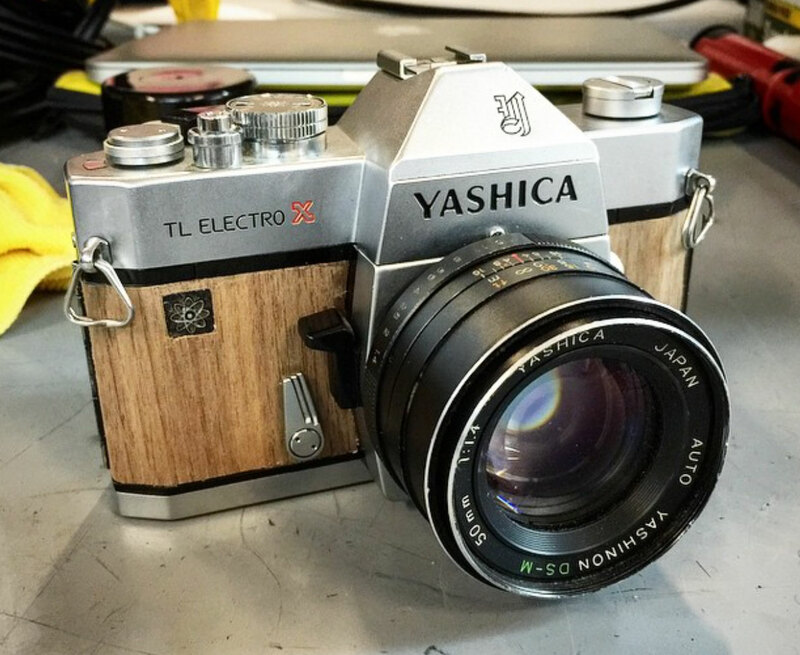 Unlike photographer Patrick Ng’s wooden-styled Canon F-1n, Haslam uses real wood veneers rather than a simple faux-wood wallpaper. After carefully applying the wood veneers, he stains them for a finished look. His first experiment was in August and involved a Yashica TL Electro X SLR.